The Boston Red Sox activated left-hander David Price on Thursday and plan to use him out of the bullpen. 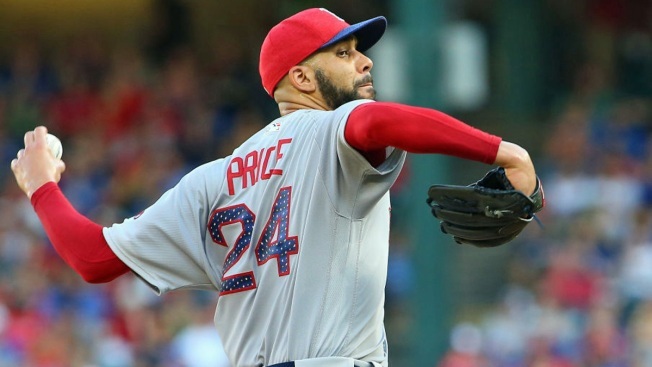 Price went on the 10-day disabled list July 28 with an inflamed elbow. Manager John Farrell said Thursday he looked good in two simulated games. "I think there will be some spots that will emerge naturally," Farrell said. "I think the one thing that he has shown in these two work sessions is the full assortment of pitches, good power to his fastball. "From just a physical standpoint, I think he's passed those tests to put him in this position and looking forward to getting him back to game activity." Price has pitched out of the bullpen in the postseason before. In 2008, he earned the victory for Tampa Bay in Game 7 against Boston in the AL Championship Series. With Toronto, he did it in the 2015 ALDS. The 2012 AL Cy Young winner also started the year on the disabled list. He was activated May 29 and was 5-3 with a 3.82 in 11 starts this season. Price threw a simulated game Wednesday and said, "I don't know what else I have to do." The Red Sox entered Thursday afternoon's game against the Oakland Athletics with a three-game lead over the New York Yankees in the AL East.